Anyone who has lived in the Tampa Bay area of Florida for any length of time knows about Bayshore Blvd. It's a road that runs along the edge of South Tampa and Tampa Bay (as in the actual bay, the water). It's known for its 4.5 mile long sidewalk. It's a popular place for walking, jogging, and rollerblading. 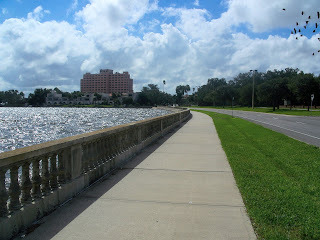 I was lucky enough to live a couple of blocks from Bayshore Blvd. when I was in college (at the University of Tampa) and it really is beautiful. But Bayshore Blvd. isn't just known for the sidewalk. On the other side of the road, there is a stretch that is lined with amazing houses. Grande, multi-million-dollar, historic houses. 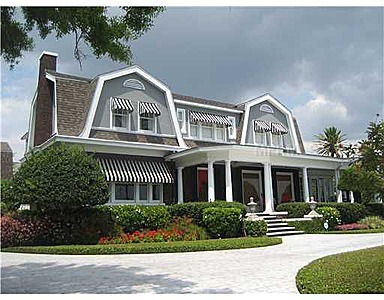 There are houses like this in many parts of South Tampa. But these are the ones that are well-known, and sought-after when they are for sale. We've all heard it before: location, location, location. The same is true in publishing. There are lots of lovely, well-crafted, amazing books out there in the wilderness of small presses and self-publishing, but the only way to get them really noticed is to get them in the right location. And big presses have the means to do it. Just like with real estate, location adds to the price. Publishers pay more for "prime real estate" in bookstores and Amazon newsletters--things small presses can rarely afford. 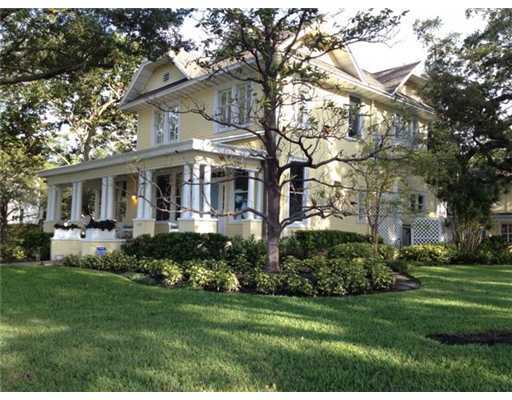 And those books end up with far more admirers, just like the houses on Bayshore Blvd. have eyes on them all the time. But think about those incredible houses you've found tucked away in unexpected places. Down a long, winding country road, on the side of a mountain, in a strange and hidden part of a big city. Part of their beauty is in the discovery. So while you're strolling down the open road of large-press books, try taking a detour now and then. Go down one of the side-roads and see what kinds of hidden treasures you might find in indie books. And then make sure you share the directions with someone! Aw, I was hoping you were leading up to a list of really great indie titles. Maybe my next post can be that :). There's something else you didn't mention, and that's how pristine and manicured these houses and lawns appear. Pristine does not always (actually rarely) makes great art. So think of that the next time you're tempted to pick up a book with a shiny cover!! Go indie!! Hi Kat! Great pics and a great post! After doing my research on ePublishing, it is amazing how many wonderful books are on the eShelf! My friend Jill is a well known author and I'm always so proud of her when I see her book in the "prime" real estate section of Barnes and Noble! Like you said, that is the difference in the reading and writing journey. Thanks, Rick. Can't take credit for the pics, though--found those online :). It is amazing how many books there are, period!